As of now, Europcar starts renting vehicles for barrier-free mobility with ten refitted VW Caddy Maxi. By taking this step, the car rental service now also gives disabled people access to rental cars and underlines once more the claim that as a leading mobility service provider within the car rental sector in Europe it offers innovative solutions for individual mobility to its customers. The VW Caddy Maxi, which was refitted and upgraded by professionals from AMF-Bruns GmbH & Co. KG based in Apen, is suitable for both active as well as passive drivers and meets the specific requirements for disabled mobility. 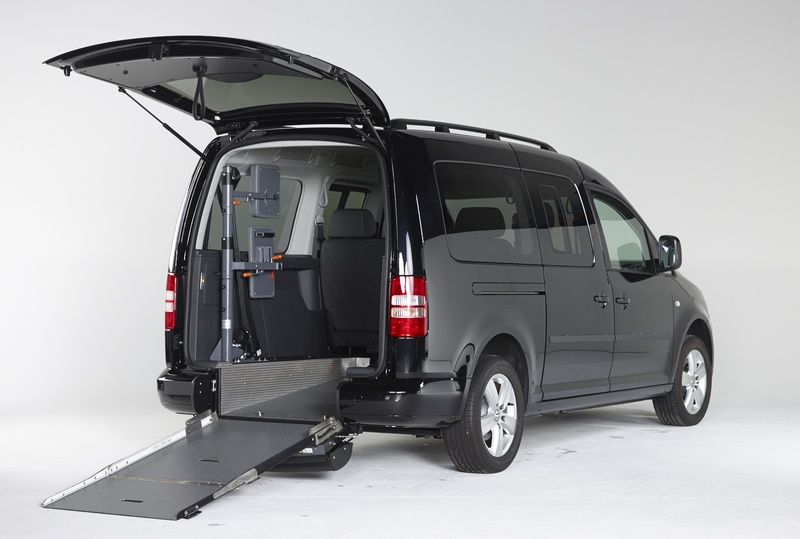 Wheelchair users will experience driving comfort thanks to extras like a fold-up aluminium access ramp, a 4-point wheel chair anchoring system, special head and back rests and a rear section with lowered floor for wheelchair users. Independent driving is not a problem either, thanks to equipment elements such as a manual terminal for brake and gas, a pedal cover in front of the gas and brake pedal as well as a small driving knob to enable easier operation of the steering wheel and parking pilots with acoustic parking sensors. A navigation system is already installed in the rental car. The VW Caddy Maxi comfortably offers space for one wheelchair user plus five additional people and is therefore also ideally suited for families. Europcar offers these special vehicles at very attractive rates: If you rent a vehicle for disabled people for one to two days, the daily rate is about Euro 105 (including all mileage), a weekly rental totals at Euro 439 (including 2,100 kilometres) and even longer rental periods can be accommodated. Fully comprehensive cover (LDW) is already included – with remaining personal excess. You can directly reserve the VW Caddy Maxi at six central Europcar locations in Germany: Dusseldorf, Frankfurt, Munich, Stuttgart, Berlin and Hamburg. Nationwide booking is also possible upon request. You can find all information at www.europcar.de/behindertengerecht for this Europcar offer as well as the contact information for the relevant locations. Soon it will also be possible to make reservations online. About Europcar car rental service: Europcar is the largest car rental service in Europe and is in the Top 3 of the sector wolrdwide. The company has 579 locations in Germany – many of them open 24/7 – and offers the best possible accessibility. ISO-certified quality and environmental management systems are part of the company’s philosophy. A number of awards such as the test result “Best Car Rental Service 2011” voted for by the readers of the trade magazine Firmenauto or the World Travel Awards “Leading International Car Rental Service”, “Leading International Company for Green Transport Solutions” and “Leading International Car Rental Service for Private Customers” confirm the customer focus and commitment to environmental protection. In July 2011, Europcar also received the “Best Car Rental Service” seal of approval from the Deutsches Institut für Service-Qualität (DISQ – German Institute for Service Quality) based on a broad study of the sector.